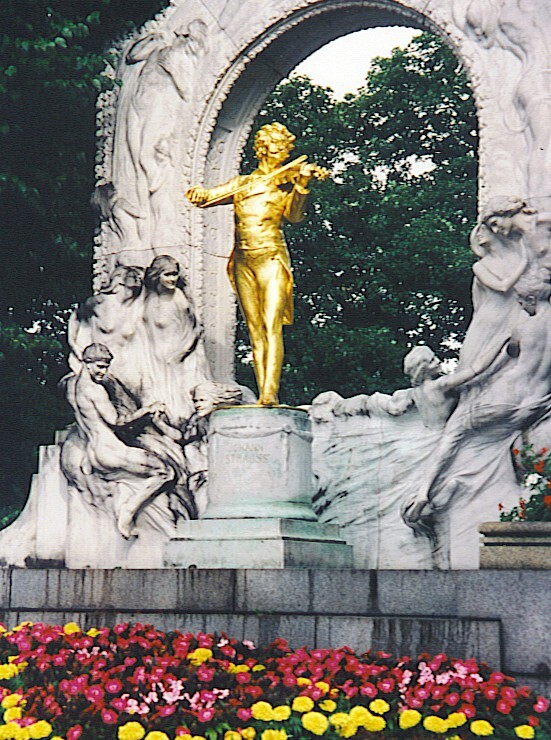 This entry was posted in History and tagged Johann Strauss, The Waltz King, Vienna. Bookmark the permalink. Can you tell me the names of the children that Johann the First and Emilie had? I believe my great grandmother, Henrietta Strauss is one of their children. As you may have discovered, details about the children of Emilie Trampusch are not easily accessible. Names I was able to turn up were Emilie Therese (born 1835), Johann Wilhelm (b. 1836), Clementina (b. 1837), Carl Joseph (b. 1840), Theresa Carolin (b. 1844) and Wilhelmine (b. 1846). The only Henrietta I was able to find in the Strauss family tree was Johann Junior’s first wife. Sorry I’m not able to be more help. Thanks for looking in on my blog. Henriette Strauß was originally called Henriette Chalupetzky, aka. Jetty Treffz. She was the Mistress of a Banker Moritz von Todesco; She also had a number of illegitimate children by him, but left them when she married Johann Strauß, junior, who had no children of his own, though his third wife Adèle Strauß, née Deutsch (her first husband was no relation to the Strauß Family) had a daughter, Alice, on whom he doted. As regards Emilie Trampusch (there are several spellings to the surname) the names of her children can be found in a comprehensive biographical account on her life; just type her name into the web browser. I, myself, have also written a similar biography based on various source material in German. As far as I am aware her children went under the name of Trampusch. Whether there are any descendants I do not know. The eldest son, Johann, is said to have borne an uncanny resemblance to Josef Strauß, Johann’s middle brother. With all of those complications, it is surprising that Strauss found time to write and perform so much music! Thank you for supplying these details about the life of a fascinating historical figure. NB. further to the above, there were eight children of Johann Strauß-senior and Emilie Trampusch. My mothers maiden name Trampush. We trace Emilie back as a matriarch. Trampus, Frank, b. 1852, d. 1914, born in Austria. #2 in the states, my great grandfather (his sister came over first her name was fransis, they didn’t have photo ids back then). He may be the scarlet lady’s son. The h was dropped off the end because they kept getting his relatives from down the roads mail. The records of desendents are on the web look up jump off Joe cemetery records.